As you’ll know I like to look at different spirits every now and again but I don’t tend to look at gin because I find a lot of gins very samey and, frankly, there are so many gin “experts” that anything I write down will be drowned in a lake of gin and salty tears. This is also going to be a fluid article. 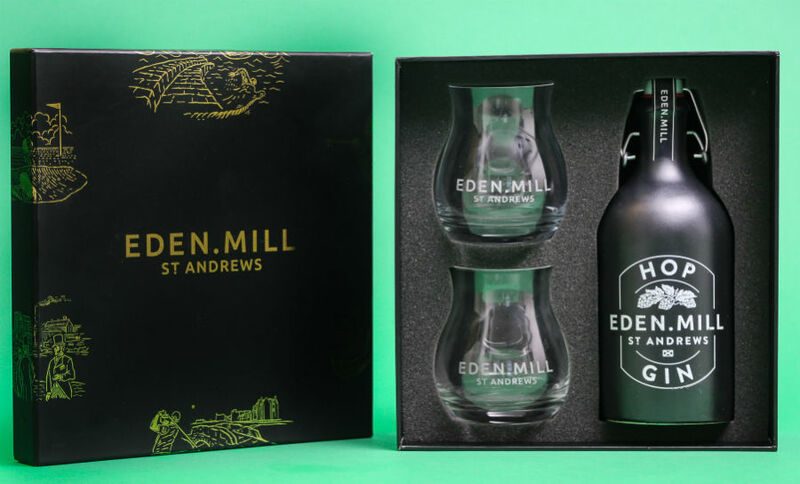 I’m going to get hold of other Eden Mill stuff and add as I go along with the aim of giving a comprehensive review of the brand. Then I came across Eden Mill. 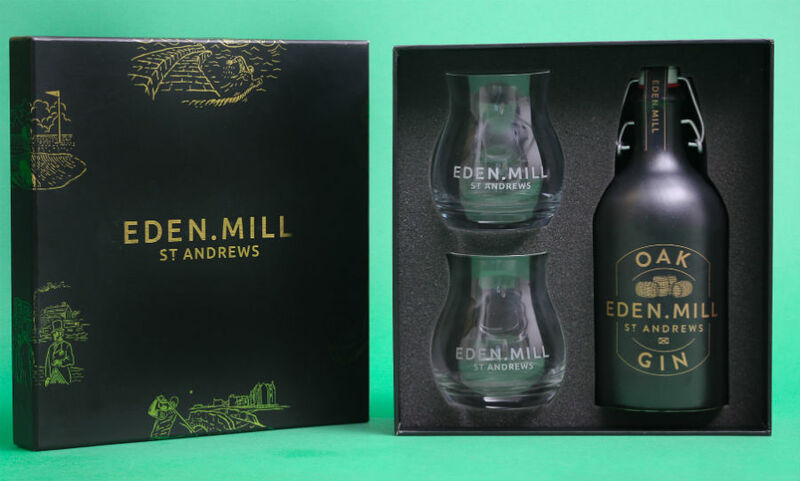 Eden Mill are based in St Andrews, home of Golf, in sunny Fife and are producing their own spirits, they now have a two year old spirit drink, which is barrel aged, and precludes a range of Scotch to be released this year and of course gin, my word do they produce some stunning gins. I picked up my first Eden Mill gin in Aldi of all places, home to a fine range of spirits already they have worked in partnership to produce a small range exclusive to Aldi. I spent just twenty pounds, peanuts in today’s crazy market, on a bottle of Eden Mill and after sharing it out with some work colleagues took it home and had a couple of cracking gin and tonics, just a perfect way to start the summer and so, because I’m cheeky, I asked Laura over at Mill’ for a couple of sly samples and lo and behold two of the best spirits I’ve ever tried plopped on my doormat here at Apocalypse Towers. The Oak Aged Gin has been matured for a short time in their own beer barrels, they do beers as well, giving this gin notes of vanilla and toffee, molasses and barely, cinnamon sticks and Chinese five spice and loads of ginger. It goes so well with a slice of orange and poured into ginger beer it almost hurts, it also adds a bit of kick to a bottle of alcoholic ginger ale and I think I could get around to taking this with just a chunk of ice or two which I’ve never said about a gin before. The Hop Gin is another masterpiece of ginmanship (ginmanship should be a word and now I’m claiming it for my own.) Using beery hops in the production gives this a wonderful citrus and summer fruit flavour, works great with an Absinthe wash in a Gin and Tonic and gives your Martini a fruity edge, cracking gin. These are a cut above most gins I’ve tried and they are produced on site which is adding to the Fife economy which I also approve of, if you’re going to buy a “craft” product you could do a lot worse than coming here. For more information please visit their lovely website, I do love a nice website, which I’ll link down the bottom. Over the next month or so I’m going to attempt to look at a few other craft distillers in Scotland and thanks to Laura for helping me out, I’ll take up that invitation to come to the distillery maybe next year and I’ll do a write up of that but as you all know I’m a total hermit and never leave the house.